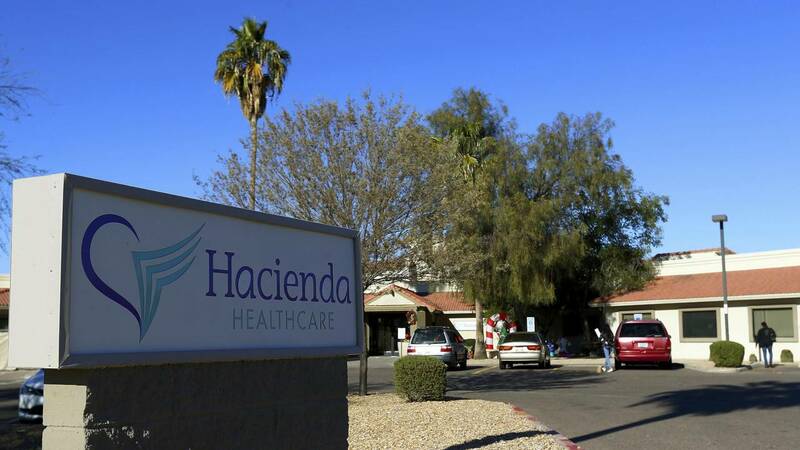 (CNN) - Two doctors who led care for a woman who gave birth after being sexually assaulted at an Arizona health care facility are no longer treating its patients, Hacienda HealthCare said Monday. Caretakers of the woman were taken by surprise by the December 29 birth, with one telling a 911 dispatcher, "We had no idea she was pregnant." The woman is a member of the San Carlos Apache Tribe and has long been in a vegetative state, the tribe's chairman has said. The birth has prompted Hacienda to hire a former prosecutor to review what happened. The company is turning over all records of the woman's treatment and has been ordered to hire a third-party manager to oversee several of its facilities. Monday's statement provided no details on the doctors. "Once again, we offer an apology and send our deepest sympathy to the client and her family. Hacienda intends to do everything possible to restore its credibility in the eyes of our patients, families, the community and our agency partners at every level," it said. "This woman was unable to move; she was unable to communicate. In other words, she was helpless," Phoenix police Sgt. Tommy Thompson has said. "This started as a sexual assault investigation from day one." Police have said the baby was in distress when it was born, but they haven't said whether the woman had a full-term pregnancy. The parents of the woman said in a statement Tuesday that she has "significant intellectual disabilities" but is able to move and respond to sound. "The victim's parents would like to make clear that their daughter is not in a coma," said the statement released to CNN by the attorney for the parents, John A. Michaels. "She has significant intellectual disabilities as a result of seizures very early in her childhood." The woman does not speak but has some ability to move her limbs, head and neck, according to the statement. She also "responds to sound and is able to make facial gestures." "She has feelings, likes to be read to, enjoys soft music and is capable of responding to people she is familiar with, especially family," the parents said. "The important thing is that she is a beloved daughter, albeit with significant intellectual disabilities." Medical records say the woman had an external exam April 16. A doctor noted her "firm belly" in the abdomen section. There were no notes on the forms about a pelvic exam, or urine or blood tests.